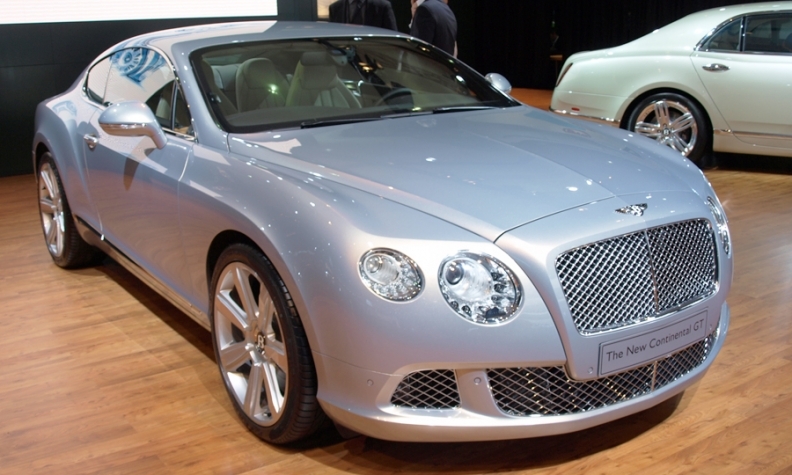 Bentley said it says it sold 25 two-door Continental GTs (pictured) at last month's Shanghai auto show. Bentley Motors Ltd., Volkswagen AG's ultra-luxury brand, sold 396 cars in China in the first four months of 2011, up 66 percent from the same period a year earlier. China has become Bentley's second largest market this year, eclipsing the United Kingdom. The United States remains Bentley 's biggest market. Bentley says China accounts for 25 percent of its sales. Traditionally, Bentley has marketed four-door models like the Mulsanne and Continental Flying Spur in China. But the company says it sold 25 two-door Continental GTs at last month's Shanghai auto show -- suggesting that sales will continue to grow as Bentley introduces new models in China. The company also plans to expand its dealership network in China by a third this year.